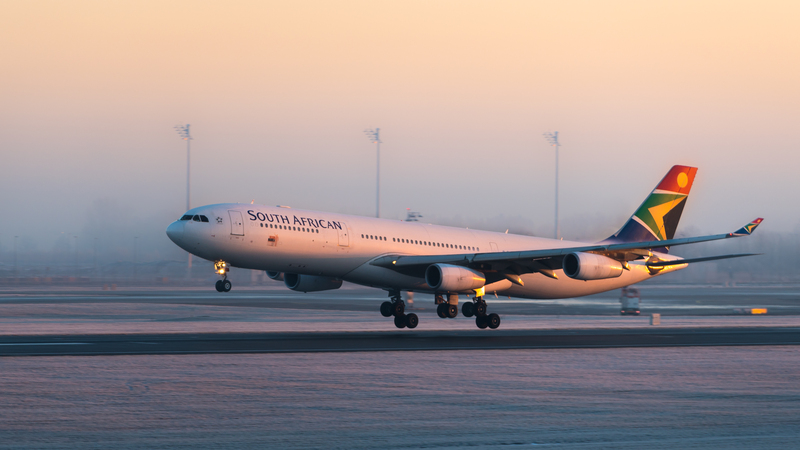 South African Airways Airbus A340-313 (reg. ZS-SXE, msn 646) at Munich Airport (IATA: MUC; ICAO: EDDM). South African Airways Airbus A340-313 (reg. ZS-SXE, msn 646) at Munich Airport (IATA: MUC; ICAO: EDDM).